Get that chicken dinner whenever, wherever! With the AORUS external graphics solutions powering your Ultrabook via Thunderbolt 3, you are free to jump right in the battleground and start gaming right away. 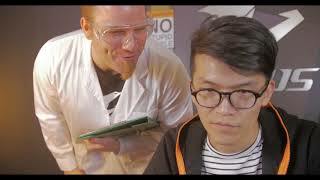 Trust us, we're super serious scientists ???? 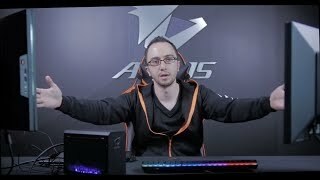 AORUS Labs takes a look at a revolutionary external GPU: the GTX 1070 Gaming Box (feat. Thunderbolt 3 technology)! Turn your mobile workstation into a powerful battle station. The AORUS GTX 1070 Gaming Box is a complete yet compact solution that comes with a GTX 1070 graphics card and 450W PSU built inside. Hook it up to your laptop, and you have a battle-ready machine right away. Here is how it works. 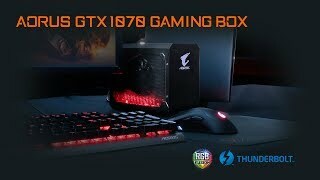 #AORUS GTX 1070 Gaming Box, a plug-and-play external graphics solution with GTX 1070 graphics card embedded inside for transforming any Thunderbolt™ 3-enabled laptop into a powerful gaming battle station. See how this bad boy can take your Ultrabook/laptop's gaming potential to the next level.